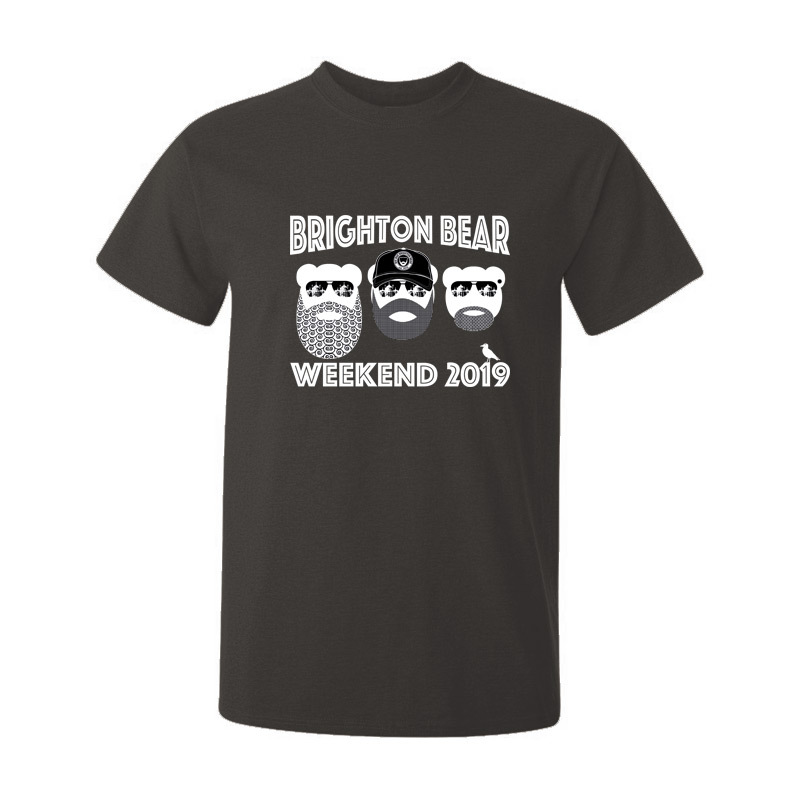 The official Brighton Bear Weekend 2019 t-shirt. Note: if a size does not appear in the menu below, it is currently out of stock. Please try again later. 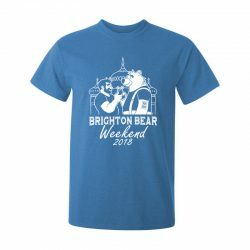 Gunmetal grey 100% cotton Gildan t-shirt with white Brighton Bear Weekend 2019 logo on the front. Machine washable and durable. Do not iron the logo.